How Would I Bought This phone? I just tested it with 64GB microSD card from Sandisk: works fine! 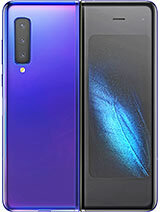 Waiting for this model with android OS, 20 MP Camera, 6 Inch screen..
HMD Global should launch a reimagined E90, or a reimagined Communicator for that matter, with Android... Planet Computers is doing an awesome job with the Gemini PDA and HMD can do even better. PDA with keyboards FTW! that one brand new, just came from europe, to canada, as i said, I begun searching the E90 checked Ebay, no way jose, from 200 to 450, in albania there is a guy selling one for 158 Canadian, but I did not want to order outside of North America(i found the X5 here in Toronto the seller got it in europe) today i was searching on a local site for the E90, my lucky day, there was a guy living one hour where i live selling precisely the E90 for the modest price of 70 canadian dollars, unlocked, 90 per cent overall physical condition, I offered him 60 cause i had to drive one hour to pick it up, he agreed, and now is on my hands, when you look for something at the right time it comes to you.. trying to download the north america maps, reading about it now, good luck finding one guys!! Waiting for such device with 6 inch screen on andtoid OS. Correction on specs above. The E90 does not take a memory card bigger than 2gig. I bought mine in 2007 and am using it up to now but will have to change vome 30 June it wont be able to support whatsapp. Its a great symbian phone though most applications can no longer be supported on this handset. I love the qwerty keyboard. Hope Nokia will remanufacture this phone with a bigger memory and up to date software. I wish i have one Mobile like 9500 or 9300. I still didnt get it..even thought its an old model compare these days..but still the price still expensive for its year..wht is the function that makes it worth to buy? its still available in ebay go and buy if realy need it..
Total of 5646 user reviews and opinions for Nokia E90.